If you’re like most people, Google Docs is all you will ever need from a word processor. 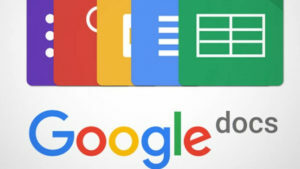 Of course, Microsoft Word still has millions of devoted daily users, but there is plenty of room in the market for a web-based application like Google Docs. To make the program even more appealing, there is a long list of add-ons available, just waiting to make the software even more powerful. The great thing about add-ons is that you can pick and choose the ones you need, effectively customizing the program to suit your demands; and then you can easily uninstall them if they don’t work for you. Try out some of our favorites below. Clean documents are good documents. 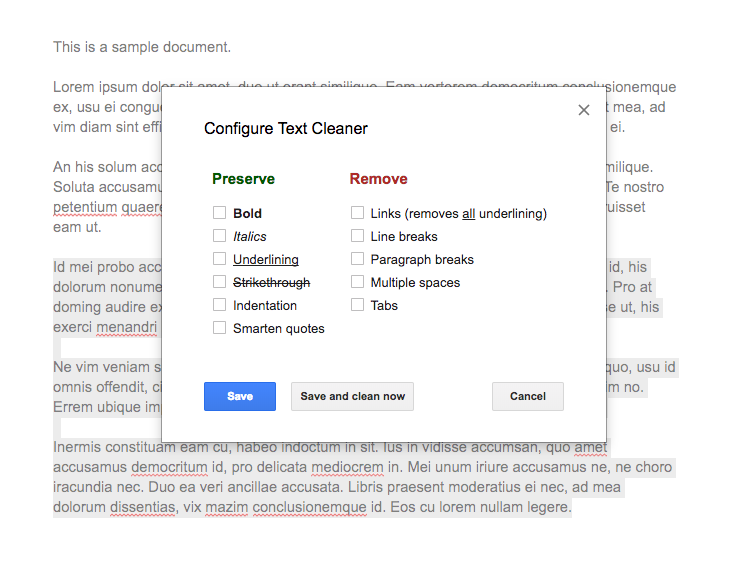 You can produce beautiful finished products in Google Docs with the help of these add-ons. One of the best ways to use add-ons for Google Docs is to automate – or, at least, semi-automate – tasks that you complete on a regular basis. With that in mind, Doc Builder is a powerful add-on worth your consideration. 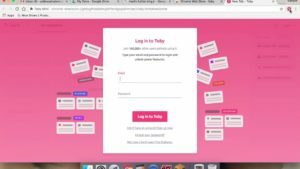 This tool will let you insert snippets into your documents from a sidebar with the click of a mouse. For example, if you tend to use the same blocks of text within a number of different documents – some company marketing materials, perhaps – you can add those to Doc Builder and have them available at any time. Not only does this work for text, but also for images and formatting. Do you frequently print from Google Docs? Are you always printing on pieces of paper that are the exact same size? If your answers to those two questions are yes, and no, respectively, you will love what Page Layout Tool can do. Simply install this add-on in Google Docs and set your page sizes exactly as you would like. After a bit of experimentation, you should be able to use this add-on to quickly set page size and margins. Of course, you don’t have to be printing in order to make use of this tool, as it can work nicely when you are going to simply export documents as PDFs. If you are compiling text from a variety of different sources and attempting to bring that text together into a cohesive document, the file could be a mess at first. 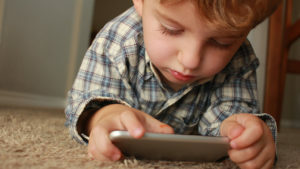 Rather than sorting through it line by line in order to clean it up, let Text Cleaner do the heavy lifting. You can use this add-on to decide which elements in the text you would like to keep and which should go. When used in the right situation, this add-on can be a major time saver. You don’t have time to waste on your projects, and neither does anyone else. Let these add-ons streamline your workflow. For certain kinds of projects, putting together a bibliography can be the most demanding – and frustrating – part of the job. With EasyBib, you can take some of the pain out of the bibliography process. With the add-on installed and the sidebar open, you can quickly look up the information you need to add a quote or other reference. Also, you can choose the relevant citation style, so everything remains clean and consistent. You may not frequently create documents that have to be cited, but having EasyBib available for those occasions is a smart choice. In a globally connected world, it is easy to wind up with documents that need to be translated from one language to another. Or you may have just a piece or two of text within a document that needs to be converted into a given language. To make that task a quick and easy one, turn to Translate+. This add-on covers just about every language you can imagine, so it likely has support for your needs. With the sidebar open for this add-on, you can quickly complete the necessary translations and move on with your tasks. This is one of our favorite add-ons for Google Docs, if just because it creates a handy solution to a potential problem. One of the reasons that so many people love Google Docs is the fact that you can share access to documents quickly and easily. If you want input from other people on your team, just share your document with them and they can view it (or make changes, if you wish to let them). This is great, but what if you don’t want them to see everything? That’s where DocSecrets comes in. By using this add-on, you can password protect specific portions of the document. For those who you would like to have access to the hidden portions, you will have to give them the password and instruct them to install this add-on. These add-ons augment Google Docs with features that would not typically be seen in a standard word processor. To display data is a visually attractive manner within your Google Docs, consider using the Yob Graph Editor add-on. This simple addition to Docs does exactly what you would expect it to do. In the sidebar, you can use the functions and data you need to create a graph that will be inserted into your document. Graphing is not a function that is native to Google Docs, so this is an important add-on if you work with data. Okay – so this one is going to serve a niche market. For most people, there is no need to insert sheet music into a Google Doc, and we understand that. However, if you do happen to have this need, Flat Music Notation is a pretty handy add-on. 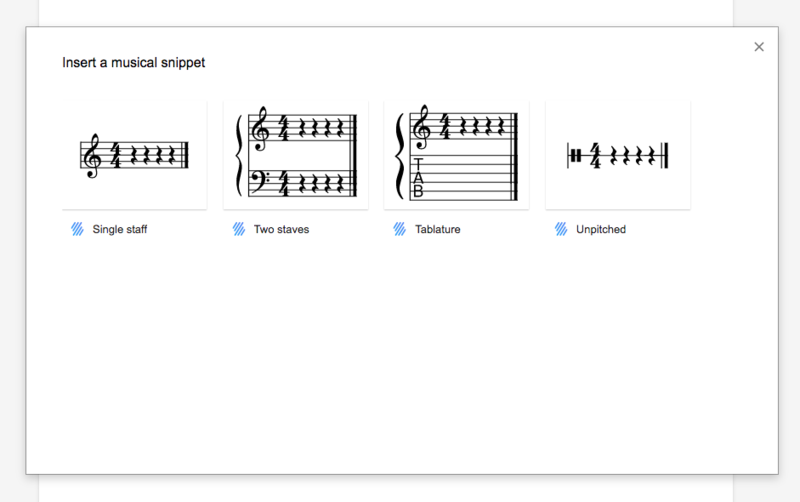 For starters, you can add sheet music directly into your documents, an important capability for a music teacher or student. 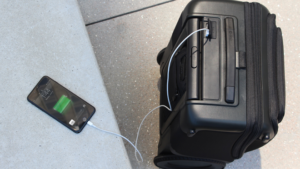 In addition, you can actually listen to the music, which we think is pretty cool. Again, this one won’t be relevant for 99% of the Google Docs users out there, but a select few are sure to love it. No matter what field you are in, there is a good chance that marketing metrics play a role in your business. 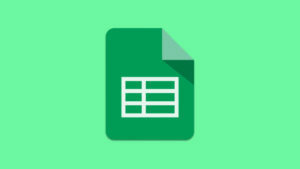 If you would like to bring some of the data from your Google Analytics account over to a Google Doc, this add-on is up to the challenge. Use Supermetrics to pull information from your Analytics account and you can quickly create marketing reports right within Docs. This is a quick and easy way to tap into the info you need without having to make a separate trip to the Analytics dashboard. When you need to work together with others to complete a project, these add-ons are likely to be of assistance. We mentioned earlier that collaboration is one of the biggest benefits to using Google Docs for your word processing needs. But what if you want to do more than just share a document with someone – what if you actually want to discuss it? Enter UberConference Sidebar. You can use this add-on to set up a conference call right within Google Docs. In just moments, all of the relevant parties can be involved in the call, offering their insights on the document in real-time. For a workflow solution that can be used within Google Docs, consider turning to Collovate. Again, this is all about getting other eyes on your documents, and having those individuals be able to make comments or changes as necessary. It is easy to work with others when you add this piece of software to your Google Docs, so it may be just what you need to streamline your day-to-day operations. Do you use mind maps? If not, they can be a great way to organize your thoughts and present them to other people who may be working on a project with you. Or, if you are trying to get a project approved, a detailed mind map can help convey your ideas. 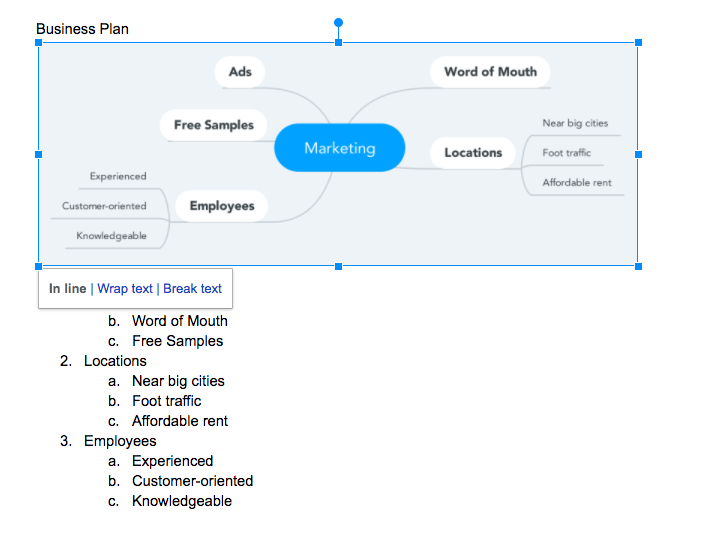 To create an appealing mind map within Google Docs, you can use the MindMeister add-on. When you are ready to build a mind map, simply create an outline in a Google document. The add-on will then be able to capture the information within that outline and turn it into a handy mind map that can be inserted anywhere within the document. If you only need to type up a quick letter and be on your way, it probably won’t be necessary to use any add-ons at all with Google Docs. As your needs change, however, using add-ons is a smart move. We hope some of the options included in this list will help you get maximum productivity from this free, easy-to-use program.